Hi all! 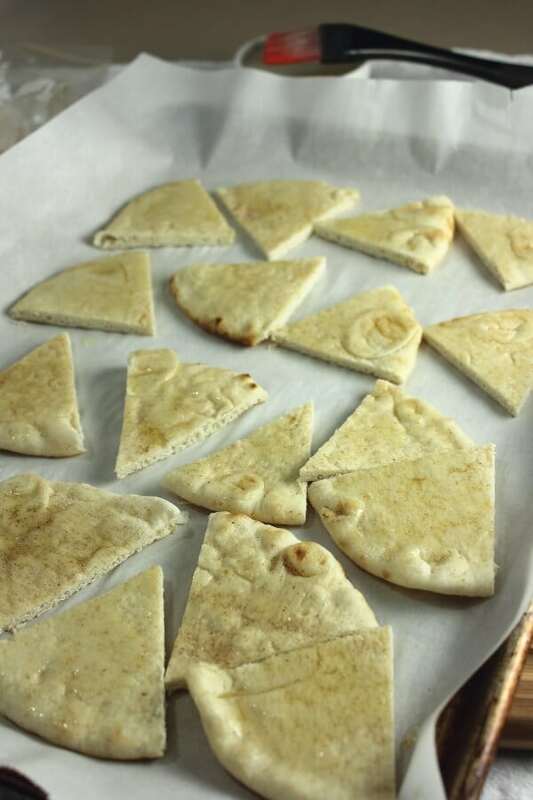 Today’s post is brought to you by Crystal from Simply Playful Fare… I know you’re going enjoy this version of homemade pita chips – they look amazing! Don’t forget to hop over to her blog at the end and say hi! You’re at the grocery store, staring at the chip section, trying to select a bag of chips to take to a party. The problem is, the pretzels are hard, the Doritos have too much sodium, and the tortilla chips are stale. There are so many choices, yet no solutions to your problem: taking a tasty snack to a party. So what do you do? Make your own! 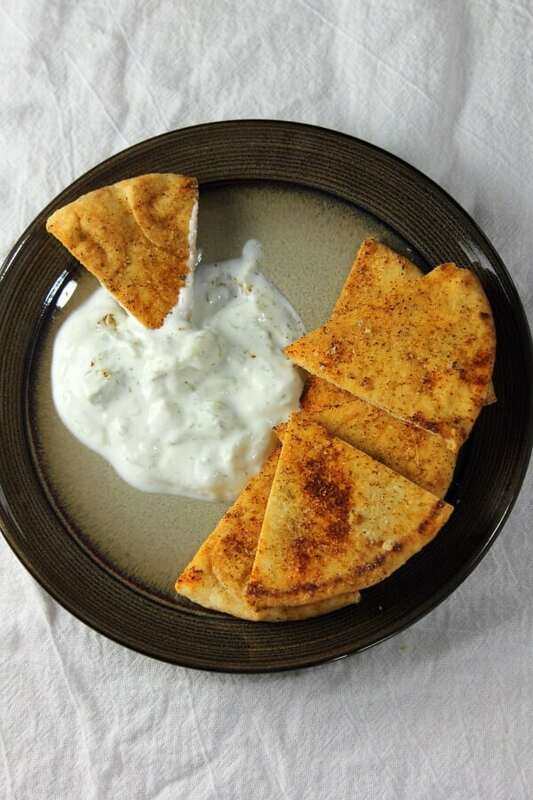 The first time I ever had a homemade pita chip, it was like magic in my mouth. The outside is crunchy, while the inside is still chewy and warm. I can’t think of an easier recipe to make, except maybe pudding. You’ve got to give these a try! 1. 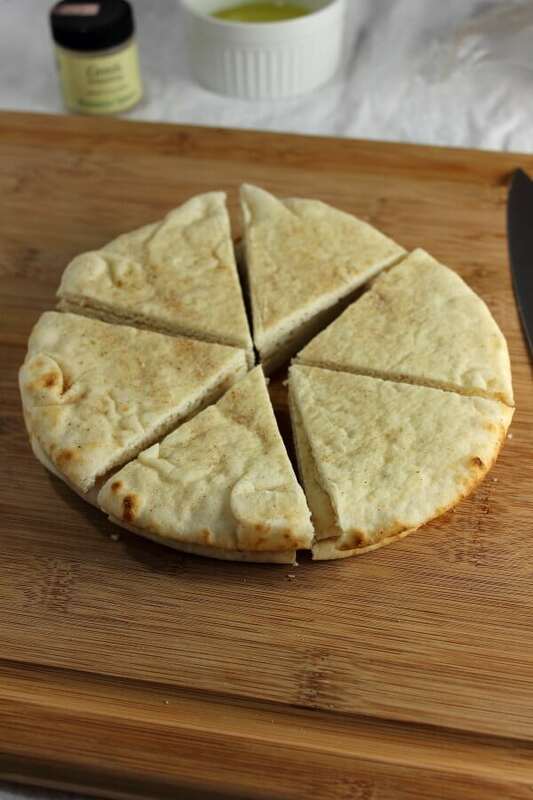 Cut the pitas into sixths with a chef’s knife. 2. Line a baking sheet with parchment paper. 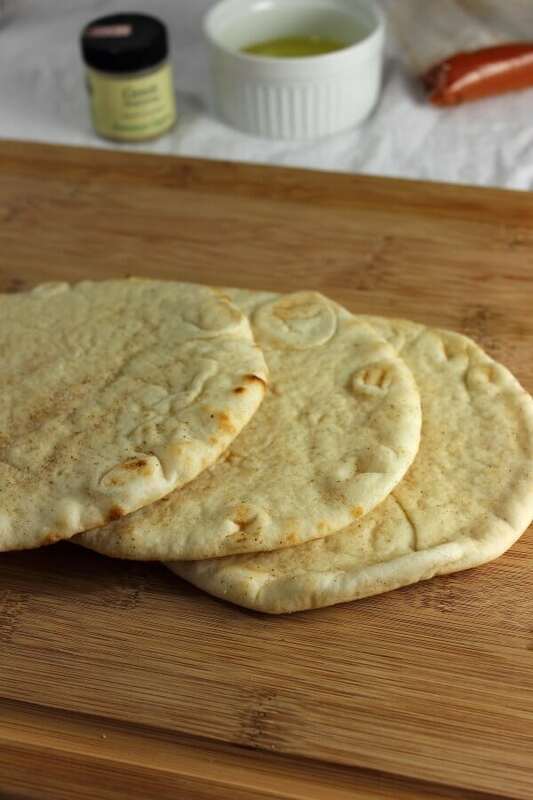 Place the pitas on the baking sheet, and brush with olive oil. 3. Season with paprika, Greek seasoning, and salt. 4. 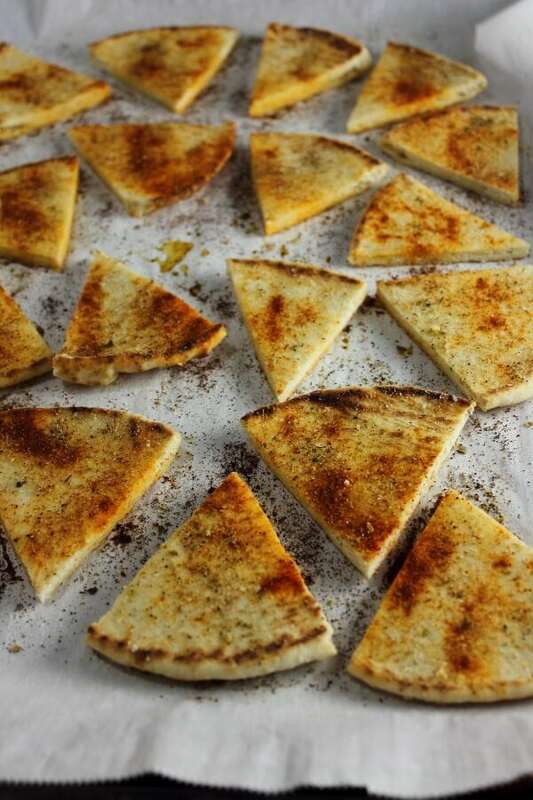 Flip the triangles over and repeat the olive oil and seasoning. 5. Bake for 15 – 20 minutes at 350 degrees, flipping half way through. 6. Enjoy with your favorite dip! 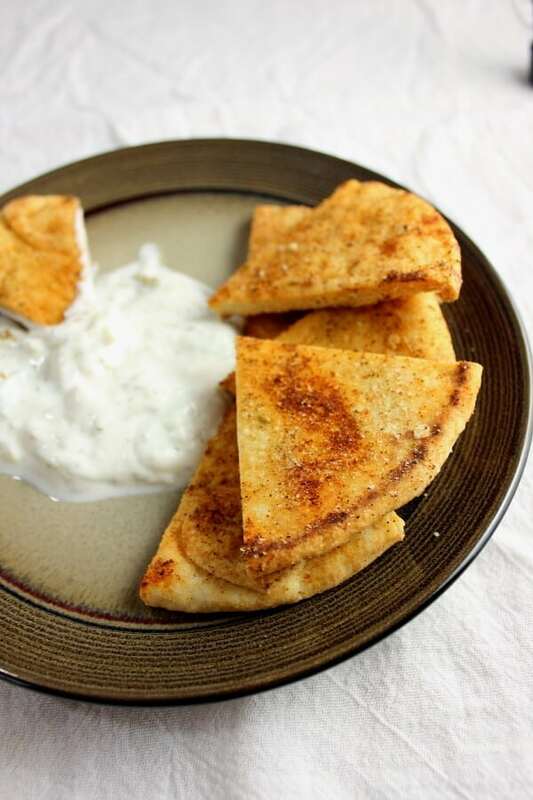 So, what dip will you have with your homemade pita chips? Crystal is a native Montanan who loves to create. She has always been passionate about cooking, baking, and eating, and food has been a huge part of her family. She learned how to cook from her Grandmother (who learned to cook from her French Grandmother) and her Mother. Writing is her other passion, after her husband of course. She has a degree in English with an emphasis in creative writing. You can find her at Simply Playful Fare. 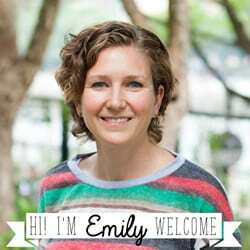 Thank you so much, Emily, for allowing me to guest-post on Nap Time Creations! 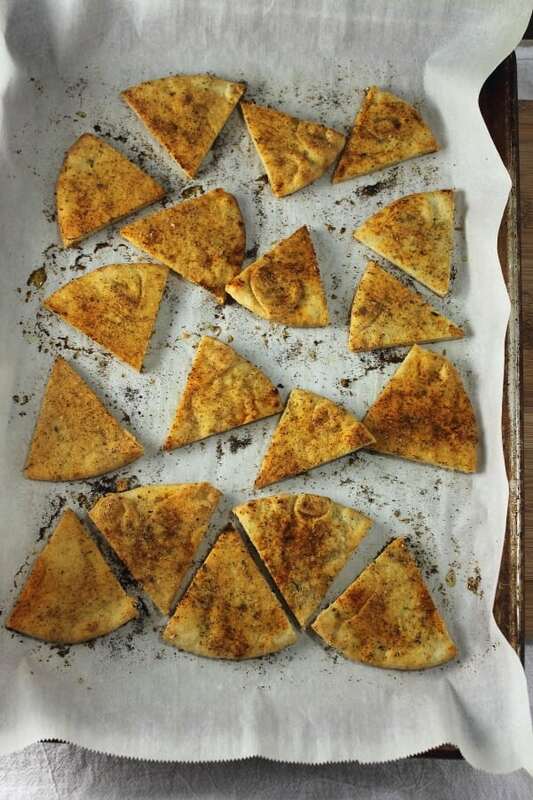 That’s terrific – DIY pita chips. I don’t have them often, so it would be good to make my own.